Knock Out® is who’s there! Who’s not there? Hybrid teas, grandifloras and floribunda roses. 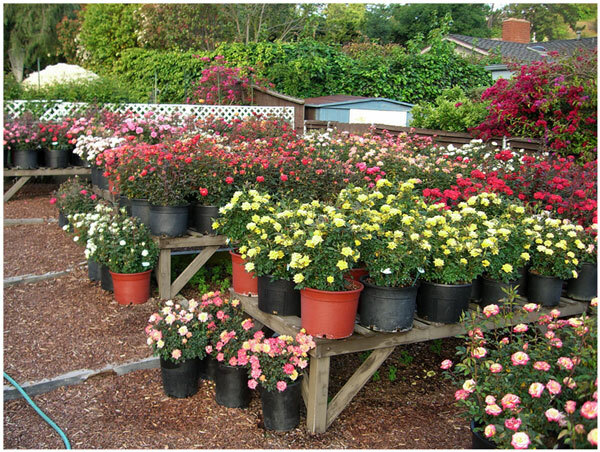 The Knock Out® rose has become part of landscape designers staple planting. They offer an easy maintenance solution for the seasonal gardener and landscape companies who plant and maintain gardens. Here’s where the subject of classic rose garden design that hybrid teas, grandifloras, and floribundas LCIs, OGR, and classic roses become an issue for landscape maintenance companies. It’s a time, training and knowledge issue. People want rose gardens. Landscape designers can put in Knock Out® roses and their maintenance crews can take care of them with the hedge clippers. I have observed the perfect storm of three factors that have helped propel Knock Out® rose sales into the stratosphere: an amazing marketing department at Star Roses & Plants/Conard Pyle, an ongoing, non-stop content marketing strategy combined with a window of opportunity that comes along for a product once in a lifetime. That window of opportunity is the push for easy-care, environmentally safe, earth friendly products and a time strapped generation of gardeners who want roses in their garden. Moving away from a large metroplex I have found it more and more difficult to buy any varieties other than the Knock Out® Rose. In trying to locate hybrid teas, grandifloras and floribundas, LCIs, etc., to plant in my country rose garden I called a nursery and ask an employee if they had any hybrid tea roses and she said “what’s that?” As a self described rose evangelist I decided to ask Dr. Tommy Cairns*, who is one of the most respected rose authorities in the world, and an internationally renowned rose expert and exhibitor his opinion of the Knock Out® rose. Dr. Tommy Cairns* What do you think of the Knock Out® Rose? *Dr. Tommy Cairns, is an internationally renowned rose expert and exhibitor. He is generally regarded as a top authority on all aspects of growing roses holding judging credentials both in the Royal National Rose Society of Great Britain, the American Rose Society and the World Federation of Rose Societies. He has judged international rose shows in South America, Africa, New Zealand, Australia, Japan and Europe. He served as one of the three float judges at the world famous Rose Parade in Pasadena 2003 and continues to serve as their Judges Orientation Instructor. 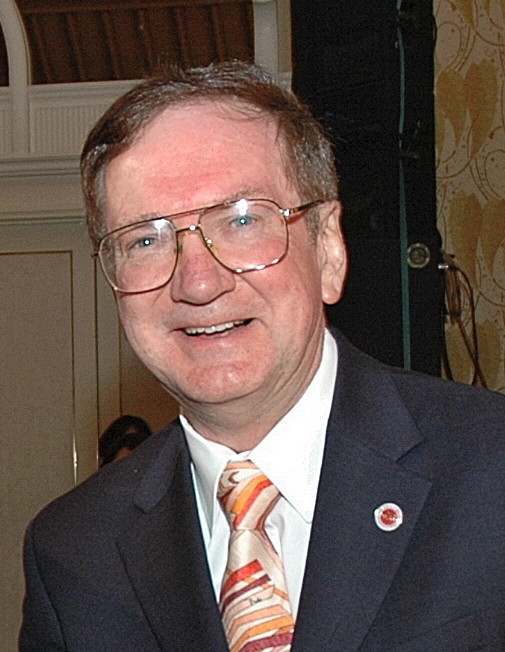 Prior to his election as President of the World Federation of Rose Societies for 2003-2006, Tommy served as the 50th President of the American Rose Society in 2000-2003. He was editor of both Modern Roses 10 and Modern Roses XI – The World Encyclopedia of Roses and currently is editor of World Rose News, published twice a year by the World Federation of Rose Societies. His recent literary efforts have been chronicled in Botanica’s Roses and the a series of popular books, namely All About Roses, All About The Easiest Roses to Grow, and The Complete Guide to Roses, published by Ortho/Meredith Books. His latest work is The Ultimate Rose Book , just published October 2007 by Abrams, New York. Tommy is probably the most decorated rosarian in the world. He was the first recipient of the Joseph & Marion Klima Medal for “Excellence in Rose Education” presented to him by the American Rose Society at the 12th World Rose Convention in Houston, Texas in April 2000. In 2005, Tommy was awarded the prestigious Dean Hole Medal by the Royal National Rose Society, regarded as the top award in the rose world and the only living American to hold this high honor. In 2006, Tommy was further honored by receiving the Gold Honor Medal of the World Federation of Rose Societies. Tommy was also awarded the highest honor the American Rose Society can bestow upon a member in 2008, that of the ARS Gold Honor Medal. In addition Tommy and Luis Desamero also received the 2008 Blake Hedrick Award for excellence in rose exhibiting. And in 2009 at the 15th World Rose Convention in Vancouver, Canada he received the first ever Richard & Della Balfour Medal for rose friendship. 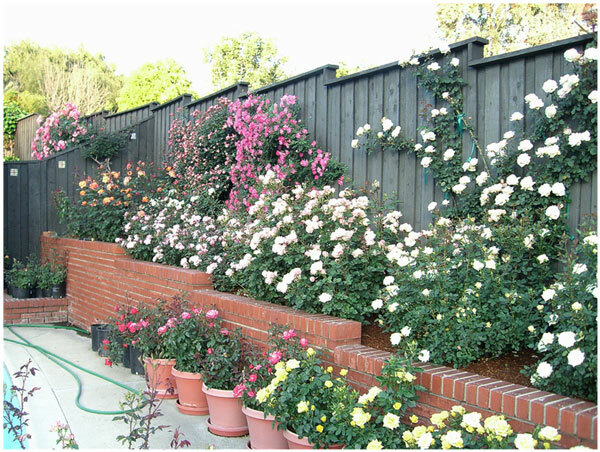 At his home in Studio City, California Dr. Cairns enjoys almost 1,000 award-winning rose bushes, which he competitively exhibits on an international level in several continents. Currently he holds (along with Luis Desamero) the record for having won the most American Rose Society (ARS) International and National Trophies (76). Professionally Dr. Cairns is the Scientific Director for the Psychemedics Corporation in Culver City, California. He is Scottish born and holds a PhD in Chemistry and Doctor of Science degree (DSc) in Toxicology, Biochemistry, Art Conservation and Archaeology from the University of Glasgow, Scotland. “After 15 years of trail and error in rose breeding one of Williams friends pointed in the direction of one particular new rose and said, “You know, Bill, if your roses were as good as that one, you would really have something” The rose she pointed to, after 10 year of rigorous testing in different locations nationwide, is the most disease resistant rose on the market today, The Knock Out® Rose. In breeding with the roses that directly produced Knock Out® William found out that the father didn’t produce hips and the mother produced only a few. Fortunately, the father produced some useful pollen and the mother produced some viable seed. Knock Out® was sent to The Conard-Pyle Company/Star® Roses for testing in August 1992, and the rest is history. I believe that The Knock Out rose is not a fad, they are great because of the disease resistants. I currently have both the Knock Out and the classic roses in my rock garden. The Knock Out roses are easy to care for and fit into my lifestyle. If you want color in your yard, it’s Knot Out Roses, but if you want the traditional rose it requires some work. Nothing is more beautiful than a Hybrid Tea. I have about 100 roses. I agree completely, and thank-you for your comment. So true, I have a Radrazz Knock Out for color and the rest are hybrid teas, floribundas, grandifloras, minis and a few climbers. I hope you will be a frequent visitor. I look forward to your thoughts and comments. Rose Rosette is something we are definitely on the look out for among Knock Outs. I hope this issue can be resolved with a tendency for this devastating disease. Thanks so much for your comment and I hope you will be a frequent visitor and share your thoughts. We care for many rose gardens in North East Oklahoma and for the last several years we have been busy digging up Double KO’s with rosette disease. In gardens of mixed roses the DKO are almost always the first to get Rosette. I quit selling them in 2010 when the rosette begin to run rampant among that cultiver. Sorry for the delay. I have been researching Rosette because I know it is a very serious issue and I wanted to have more information. I have talked to a few people and hope to do an in-depth article when I have more information. We had a speaker on Rosechat that was very well versed on the topic. I personally have found it difficult to identify but it is a dreaded disease. I heard from a grower in St. Louis that has removed all Knock Outs due to Rosette as well. So I will continue to research the topic. Thank-you for commenting. I am in S. Central Illinois about 1 1/2 hour from Saint Louis so it is a concern. Please stay in touch. Are you a nursery? That is one of the wonderful aspects of rose growing … there is a form and color to suit every taste. My comments are not meant to disuade you from growing KO merely to discuss why breeders are turning to pay prime attention to disease resistance. Enjoy. I have one K O and it is not winter hardy here, not exhibition either, so will not get more. Have over 1000 roses so know how much work exhibition roses are in IA and think K O is for casual gardeners, but rose shows are where a lot of them get the desire to grow roses and K O won’t be there. Being an exhibitor may cloud my vision on the K O, but so be it. I think you have hit the proverbial nail on the head. I don’t see where you are located but I assume its far North. Having shown roses I agree with you, showing roses is far different than selecting roses for color and casual gardening. 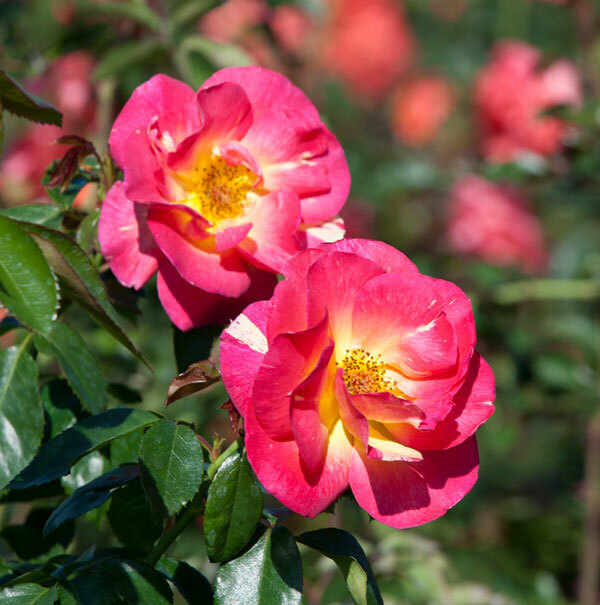 As a landscape shrub the Knock Out can provide color and rapid bloom cycle and as I mentioned I have one Radrazz for just that reason but my classic rose garden has only hybrid teas, grandifloras and floribunda roses. Thanks so much for your comment and I hope you will be a frequent visitor and I would love your thoughts and comments. I am about half way between Larry and Dr Z, trying to grow roses in Iowa. CRs are always accused of favoring exhibition roses, but we do see the usefulness of shrub roses for some gardens. Everything is beautiful in it’s own way. Thanks so much and I love hearing your thoughts and comments. Thank you Susan for this article about Knock Out and how it has/is inspiring people to grow more roses and jumpstarted a trend for newer roses with increased disease resistance. I look forward to more and more great rose options ahead in a diversity of flower and plant habits that also have high levels of disease resistance. One thing that struck me yesterday from your post (and several of my rose friends) is the reporting that Knock Out came about quite by accident. We are still scratching our heads in bewilderment. That is clearly an understatement. The steps Bill took to build disease resistance in his breeding program that led to Knock Out and the resistance levels in Knock Out and his other roses is one of the most strategic efforts in rose breeding history. Bill Radler has been a great mentor and inspired me to start breeding roses as young teen in 1984. Knock Out was a seedling in 1989 and before that Bill has been breeding roses or a long with the goal of increasing disease resistance. Bill strategically selected for increased levels of disease resistance generation after generation well before Knock Out was born. During that process he brought different isolates of black spot to his garden to make sure he had a diversity of strains. His very strategic sequence of breeding and selection for elevated levels of resistance led to increasing horizontal resistance and accumulated vertical resistance factors for black spot that really sets Knock Out apart from other roses, especially in humid climates. He did and still does face fertility challenges in his breeding, but thankfully he didn’t give up and it is no accident he presses forward with his breeding lines which mostly have limited fertility as he pursues combining disease resistance and beauty. His vision, focus, and persistence led to his success in spite of relatively limited resources. Reporting Knock Out came about “quite by accident” is not accurate. Bill had amazing vision and what he did has been reported and understood widely to date. Many know his work well and have credited and celebrated his commitment to his multi-decade endeavor that led to the development of Knock Out. He was the director of Boerner Botanical Gardens and as he cared for the typical modern roses in the gardens, he recognized people desired less dependent and demanding roses. He desired to deliver the kind of roses the public wants and he has and continues to do so. He knew what he was aiming for in terms of elevated disease resistance and thankfully stuck to and carried out that vision brilliantly. Knock Out and many other roses out of his breeding program confirm a strategic accumulation of resistance factors and his achievements clearly were far from an accident. 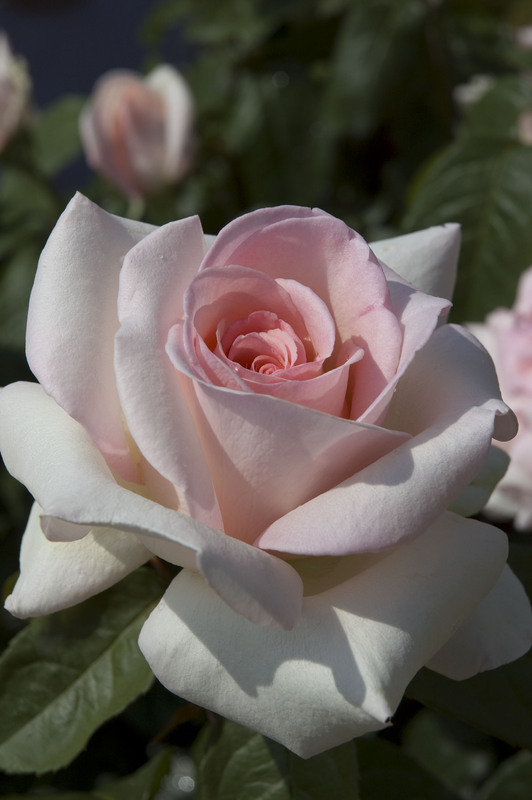 He, as well as other breeders, are thankfully combining a diversity of floral traits into roses with elevated disease resistance levels for us all to enjoy. I politely share this information for clarification. Many people know the story of Knock Out and its strategic development and it is wonderful to celebrate the truth that Knock Out did not come about quite by accident. The strategic efforts of other breeders to lift the bar higher for disease resistance now in all rose classes is a wonderful testamony to Bill leading the way as an example of what is possible when a goal is highly prioritized and stuck with. Thank you Gaga for your promotion of roses. I’m thankful too for Tommy’s promotion of roses as well. Thank-you so much for your insightful and thoughtful comment. It appears you are carrying the torch forward in this great endeavor with rose research. I admire and respect the work you are doing at The University of Wisconsin and the progress you are making characterizing rose viruses with Dr. Ben Lockhart. Having first learned to grow roses in Northern Illinois I am particularly interested in your work developing roses that can sustain extreme cold temperatures. I was particularly interested in Lena, Sven, Ole, Brite Eyes, John Davis, William Baffin, and Baby Love. Perhaps you could share your thoughts on these roses. I was wondering how they might grow in S. Central Illinois. So I look forward to the future roses that you are developing. Like you I too admire the work of William Radler, its difficult not to when he has dedicated a life time to his passion and accomplished so much. The phraseology used by Dr. Cairns to describe Mr. Radler’s discovery after dedicating 15 years of his life to researching just that may be a matter of semantics and perhaps is relative to a conversation Bill Radler and Dr. Cairns had in person. You may want to ask Dr. Cairns about it. The great thing about Knock Out is that it has re-energized the gardener’s interest and enjoyment in roses. 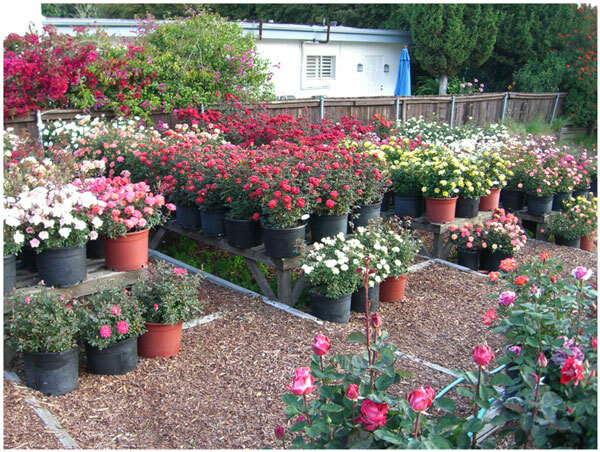 It has revised the general perspective on roses from “hard to grow” to that of knowing that varieties have different disease and hardiness qualities and the concept that eveyone can grow roses. If I think back to my early days of growing roses, the early success of plants growing and blooming has blossomed into a vast, vibrant garden – early success with easy to grow varieties certainly contributes to the ongoing interest and success. While Knock Out may not be my “favorite” rose variety, I still enjoy the view! Like you I am delighted to see Knock Out roses used as part of the landscape design now. Most every where you look you can see the beauty of more color due to their rapid bloom cycle and easy maintenance. I tend to think of them as a landscape shrub and for that they will continue to grow the public’s desire to have them. I have one beautiful Radrazz for color that my sweet husband requested so there you have it. Thanks so much for your thoughts. I have thought about videos and it is a great suggestion. Most all graphics are my own and there are lots of them so I’m not sure what type of graphics you may mean. If you have more thoughts I welcome them. I really appreciate your great feedback. I would love to know the name of the Knockout Rose that is pictured at the beginning of this post. I have not seen that particular variety – deep pink, fading to white/yellow in center. It is lovely, and I don’t seem to see it elsewhere when looking for images. My landscape designer has not seen it either. I am fairly certain it’s Rainbow Knock-Out but I will confirm this with Dr. Cairns and get back with you. I grew Rainbow Knock-Out in Texas and it is beautiful. You will be very happy with it. I see your email and I will talk to Dr. Cairns and then email you directly. Did you see the 40 pictures I posted on Facebook on my page http://www.facebook.com/gagasgarden? I think you would love it?